Kažun is a small field shelter, built in drystone technique, without any mortar. Farmers used it is a shelter in bad weather but also for the surveillance of fields and vineyards before harvesting. 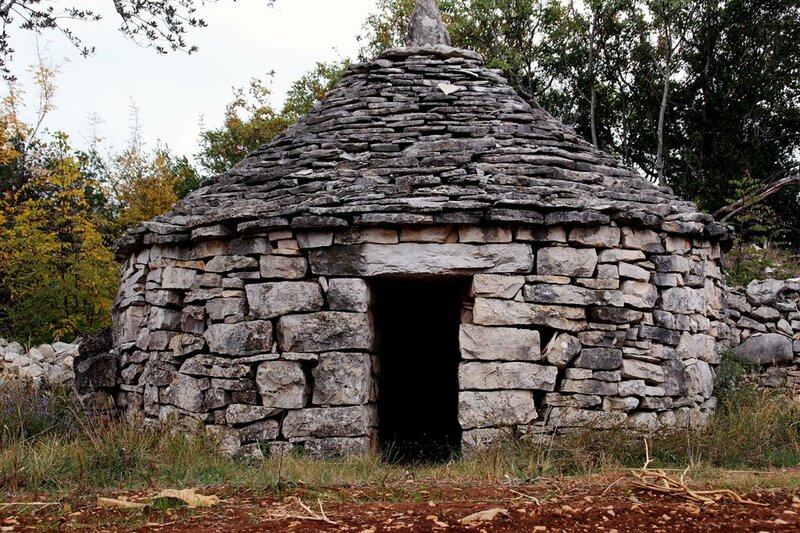 The origins of kažun cannot be attributed to any specific ethnic group, because the structures are older than any known colonisation of the Istrian Peninsula. They can most commonly be found in the southern and western parts of Istria and have become the best-known symbol of the region. Kažun is a small, single-space stone house, mostly of a round or rectangular layout. They are an original achievement in the building culture of ancient Mediterranean civilisations. 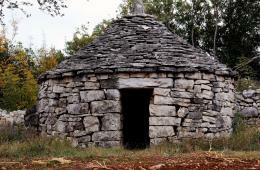 The Istrian kažun is also a unique, ancient Mediterranean type of a stone structure, built in such a way that a house is closed or vaulted without additional construction elements or building materials. A round kažun is typical of southern Istria, while the rectangular ones can be found in central and northern Istria, in particular in the surroundings of Poreč. As a precious example of folk architecture it did not vanish during the Roman period and it has been preserved to date in its simple original form.